We are a great Aussie story, the courage to risk it all to create our vision and to at all times make people, especially our families the most important reason for being in business. In 2004 Jamie Hale and Craig Harris, two mates with extensive manufacturing experience decided they could do it better and set about creating a work place like no other they had worked with. 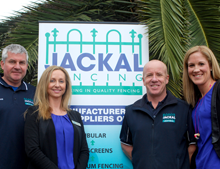 Together with their wives, Kirsten and Larissa, they formed Jackal Fencing and have steadily built a hugely successful manufacturing business where happy customers are a major focus. We have hand selected a highly skilled team who share our passion for excellence. With our 25 years of industry experience we are confident we can service your needs. 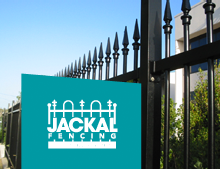 Two families started, grew and still run Jackal Fencing. Our success and focus is on people – our team and you our valued customer. We are here to serve you and help solve all your fencing needs. Dedication to superior product, design and manufacture process means you are sure to get the perfect product for Australian conditions, family safety and functional results. With 25 years experience in the fencing industry we apply our practical knowledge and innovative ideas to create superior products for you. We specialise in steel and aluminum fencing – tubular, slats, gates and balustrading, which means we have specialised knowledge and practical experience for all of your fencing solutions. We custom make your fence and gate requirements for your unique project. 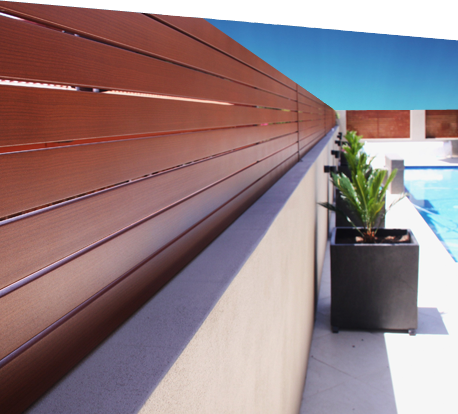 We use Australian metal for its superior quality and durability. But also because we are passionate about the future of Australian jobs. We design and manufacture premium quality steel and aluminum fencing. We have the capability to custom make fences and gates for any sized job. We use Australian metal and take it through the complete manufacturing process – design, cut, weld, pre treat and powder coat in our Central Victorian factories. Our team of skilled tradesmen take pride in ensuring the quality of your finished product.